Although educated in engineering, Anthony Howarth followed his grandfather’s profession as a photographer. Apart from commercial slide sets for tourists, which took in The Lake District, York, Liverpool, The West Coast of Scotland, Lourdes, Monaco, Brussels and Athens, he began in the late 1950s with student publications. Then front–of–house pictures, of the Footlights and Cambridge Arts theatre productions, some of which were published in the Sunday Times and The Observer newspapers. In 1959 he joined a group of students to drive round Africa; London, Cairo, Cape Town, Casablanca, London. More than thirty countries, over 30,000 miles in nine months. Back in London, Life Magazine and other magazines around the world, published his pictures from Africa including a number of cover stories. This kick-started a career as an international photo journalist. During the early 1960s he also pursued other interests. With business partner, Colin Bell, he was involved in the launch of the Establishment satire club and the magazine PRIVATE EYE. They created the pioneer tabloid magazine, SCENE, the world’s first four colour magazine printed on news print. SCENE was a precursor of Time Out and Rolling Stone. It's theatre critic was Tom Stoppard. Benny Greene reviewed jazz. The sub-editor was Gordon Williams, author of Straw Dogs. Mathew Carter, famous as a typographer for Monotype, designed the magazine and Colin Bell, a First from Kings, Cambridge, brought an aggressive blend of intellectual popularism to the endeavour. Scene did well as an independent publication. However, W. H. Smiths refused to distribute it on the basis that it was too irreverent about establishment institutions. At that time, without Smith’s distribution no publication could long survive independently. Scene became part of the Private Eye stable for a few years; publication ended in the late 1960s. 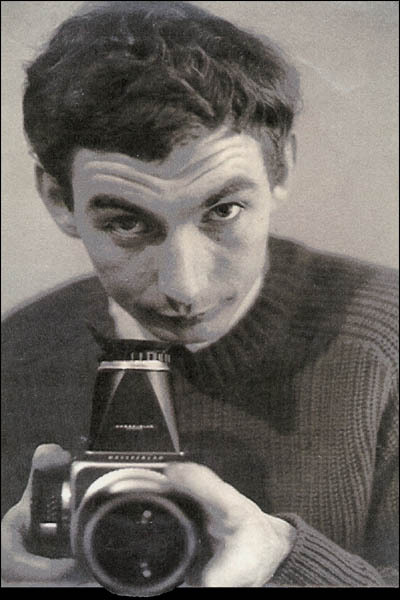 Anthony Howarth went on to become one of the most published photographers of the 1960s and 1970s. Working for all the major US, UK and European magazines, his work has been recognised in about 200 magazine cover stories, close to 500 inside magazine stories and over two thousand published magazine pages. There were very nearly 50 covers for the various Telegraph weekend magazines alone. He was always a freelance but, from 1964 to 1971 the Telegraph paid him a small annual retainer not to work for the Sunday Times Magazine, The Observer Magazine and, strangely, The Illustrated London News. Anthony Howarth's photographs have been exhibited and have won awards. There is a permanent exhibition of his work in France (www.vacationhouseinfrance.com).